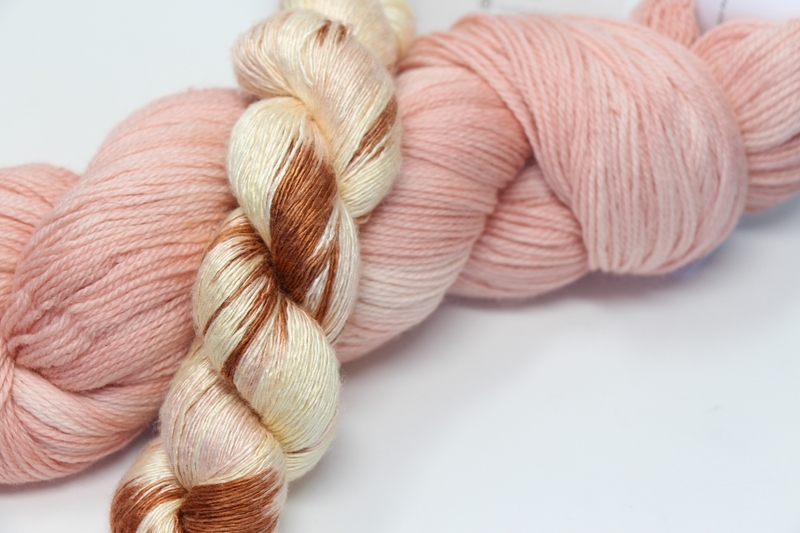 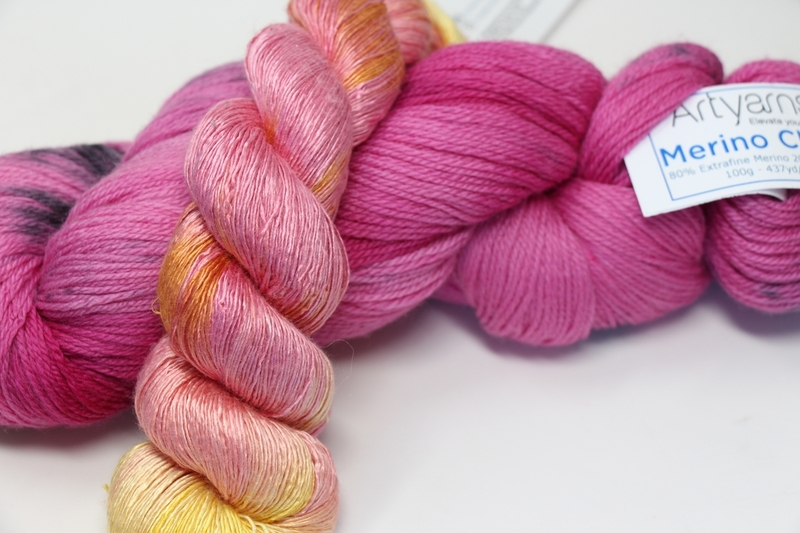 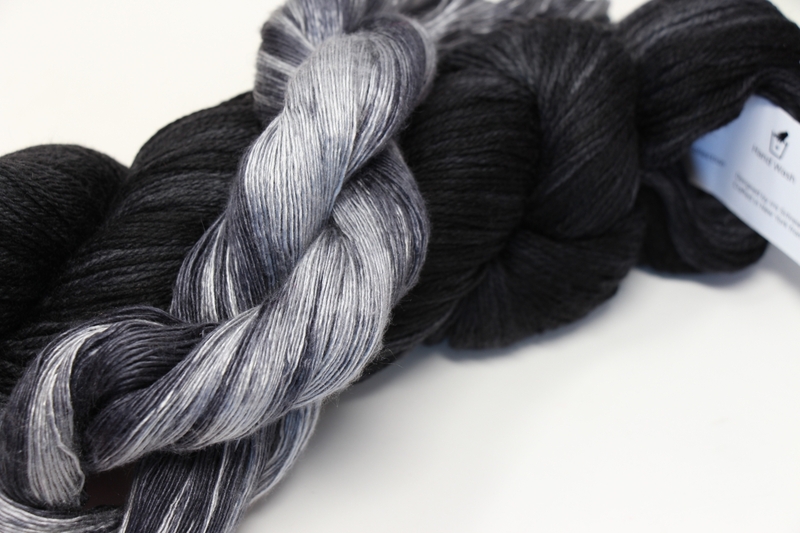 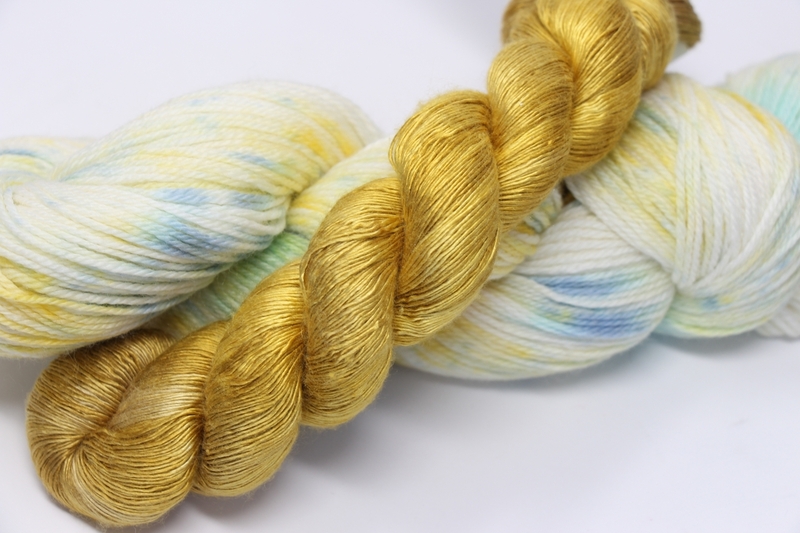 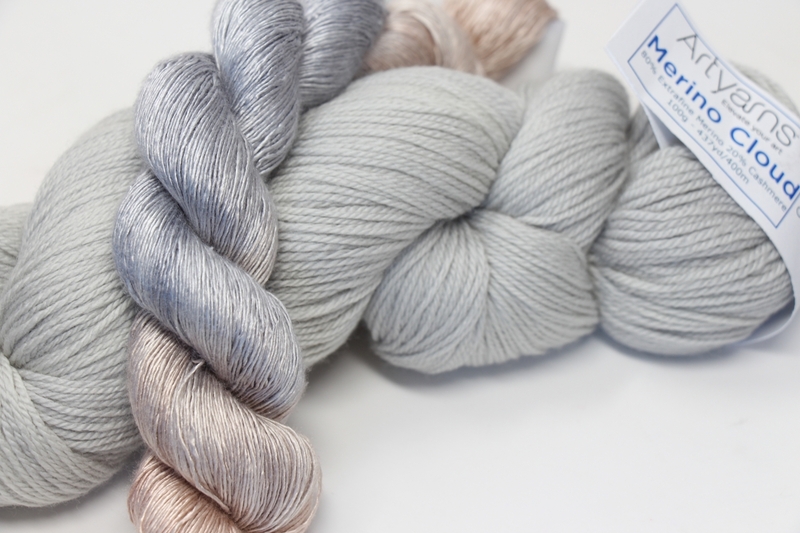 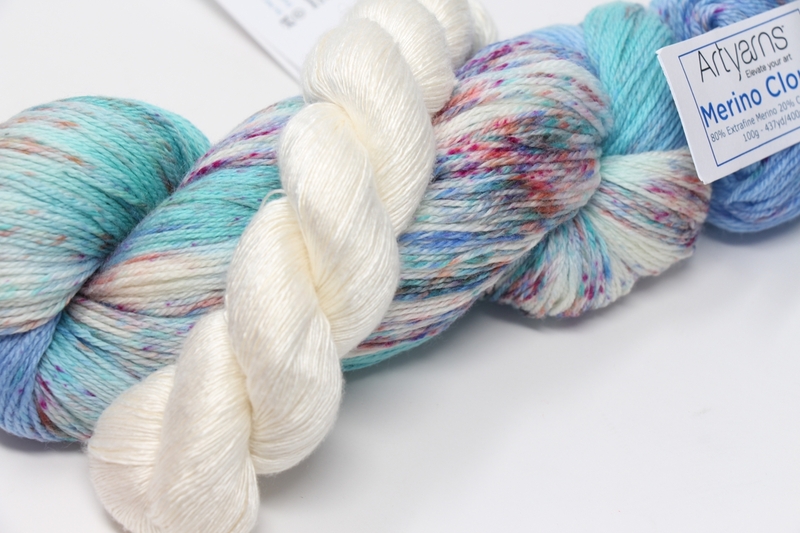 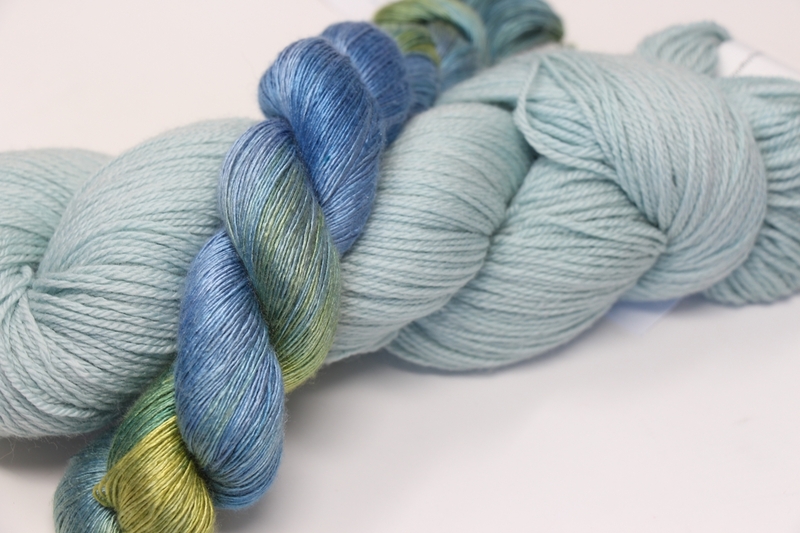 2 skein pattern features one skein each of Merino Cloud & Silk Essence. 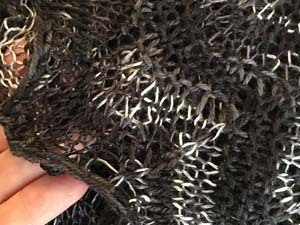 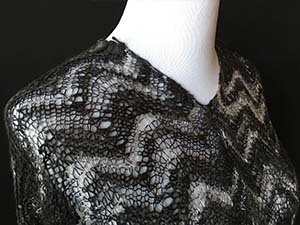 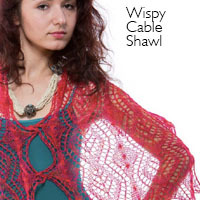 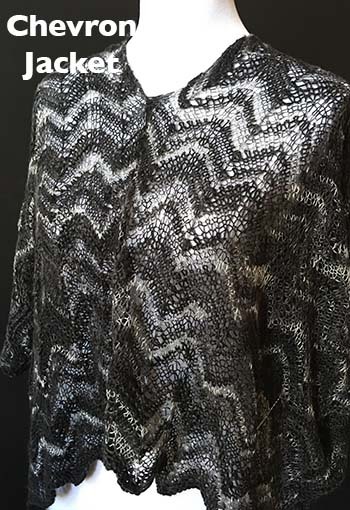 Shown above with front seamed to make a fabulous poncho! 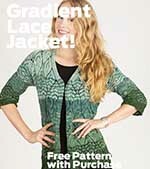 Can be left open for jacket styling. 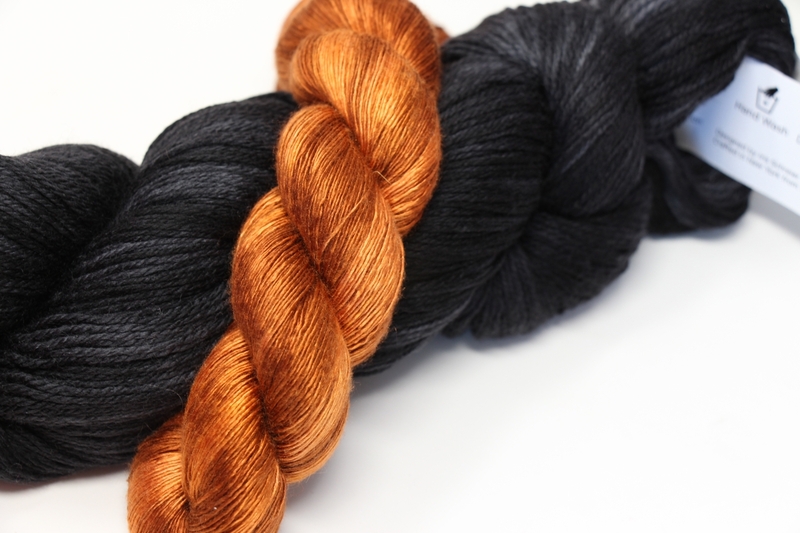 Click on combos below to view color details.